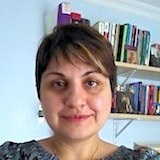 Eva Kartchava’s main research interest is to explore the processes involved in the acquisition and teaching of second/additional languages (L2) in the classroom setting. Her research has focused on Form-Focused Instruction, corrective feedback, the role of noticing in L2 learning, individual differences, as well as teacher cognition and education. Dr. Kartchava received her PhD in didactics of English as a Second Language from University of Montreal. She holds a bachelor’s degree in theoretical linguistics, a certificate in Teaching English as a Second Language, and a master’s degree in applied linguistics from Concordia University. She has taught courses in applied linguistics and teacher education at various universities, including McGill University, Concordia University, University of Montreal, and University of Sherbrooke. Her teaching career also includes extensive experience teaching English as a second (ESL) and foreign language (EFL), English for academic purposes (EAP) as well as English for specific purposes (ESP) to learners of various levels of ability in a variety of settings. Kartchava’s research has been published in various journals, including TESOL Quarterly, Language Teaching Research, and Studies in English Language Teaching. Her recent books are Corrective Feedback in Second Language Teaching and Learning: Research, Theory, Applications, Implications (2017, Routledge, with Hossein Nassaji) and Noticing Oral Corrective Feedback in the Second-Language Classroom: Evidence and Classroom Applications (Lexington Books). Her forthcoming book is The Cambridge Handbook of Corrective Feedback in Language Learning and Teaching (Cambridge University Press, with Hossein Nassaji). Kartchava, E. (in press). Noticing Oral Corrective Feedback in the Second-Language Classroom: Evidence and Classroom Applications. Lexington Books. Nassaji, H. & Kartchava, E. (Eds.) (under contract). The Cambridge Handbook of Corrective Feedback in Language Learning and Teaching. Cambridge University Press. Nassaji, H. & Kartchava, E. (Eds.) (2017). Corrective Feedback in Second Language Teaching and Learning: Research, Theory, Applications, Implications. Oxon, UK: Routledge. Kartchava, E. & Ammar, A. (2014a). The noticeability and effectiveness of corrective feedback in relation to target type. Language Teaching Research, 18(4), 428-452. DOI: 10.1177/1362168813519373. Kartchava, E. & Ammar, A. (2014b). Learners’ beliefs as mediators of what is noticed and learned in the language classroom. TESOL Quarterly, 48(1), 86-109. DOI: 10.1002/tesq.101. Kartchava, E. (2013). The place of corrective feedback within the major SLA theories. US-China Foreign Language, 11(2), 136-151. Kartchava, E. & Ammar, A. (2013). Noticing and learning: Relationship patterns. Study in English Language Teaching, 1(1), 8-25. Kartchava, E. & Nassaji, H. (in press). Noticeability of corrective feedback in three dimensional virtual environments and face-to-face classroom contexts. In R. Leow (Ed. ), Depth of processing in instructed second language acquisition. Routledge. Nassaji, H. & Kartchava, E. (in press). Corrective feedback and the good language teachers. In C. Griffiths, Z. Tajeddin & A. Brown (Eds. ), Lessons from Good Language Teachers. Cambridge University Press. Nassaji, H. & Kartchava, E. (in press). Content-based language instruction. In J. W. Schwieter & A. Benati (Eds. ), The Cambridge Handbook of Language Learning. Cambridge University Press. Nassaji, H., & Kartchava, E. (2017a). The role of corrective feedback: Theoretical and pedagogical perspectives. In H. Nassaji & E. Kartchava (Eds. ), Corrective Feedback in Second Language Teaching and Learning: Research, Theory, Applications, Implications (pp. ix-xv). Oxon, UK: Routledge. Nassaji, H., & Kartchava, E. (2017b). Conclusion, reflections, and final remarks. In H. Nassaji & E. Kartchava (Eds. ), Corrective Feedback in Second Language Teaching and Learning: Research, Theory, Applications, Implications (pp. 174-182). Oxon, UK: Routledge. Kartchava, E., McMonagle, M., & Romancio, J. (2014). Review of Christopher J. Hall, Patrick H. Smith & Rachel Wicaksono. (2011). Mapping Applied Linguistics: A Guide for Students and Practitioners. McGill Journal of Education, 49(2), 513-515. DOI: 10.7202/1029433ar. Kartchava, E. (in press). Teaching without borders at Carleton. Carleton at 75 – Stories from Carleton’s Classrooms. Kartchava, E. (2014). Le pouvoir de la rétroaction corrective à l’oral. Québec français, 171, 91-92. Kartchava, E. (2018, May). The role of task repetition and learner reflection in planned one-way tasks in an English for Academic Purposes classroom. Paper presented at the annual conference of Canadian Association of Applied Linguistics (CAAL), University of Regina, Regina, Saskatchewan, Canada. Heidt, J., Kartchava, E., & Rodgers, M. (2018, May). The activity of providing and interpreting written corrective feedback in a government-funded program. Paper presented at the annual conference of Canadian Association of Applied Linguistics (CAAL), University of Regina, Regina, Saskatchewan, Canada. Doucette, K. & Kartchava, E. (2018, May). Investigating translanguaging in the teaching of literacy in an English as a Second Language classroom. Paper presented at the Canadian Centre for Studies and Research on Bilingualism and Language Planning (CCERBAL) 2018 Conference, Official Languages and Bilingualism Institute, University of Ottawa, Ottawa, Ontario, Canada. Kartchava, E. & Nassaji, H. (2018, March). The impact of task repetition and learner reflection on task performance and outcomes in an English for Academic Purposes classroom. Paper presented at the annual conference of American Association of Applied Linguistics (AAAL), Chicago, Illinois, U.S.A.
Kartchava, E. & Nassaji, H. (2018, February). Evaluating the impact of learner self-assessment and teacher feedback on task performance in an English for Academic Purposes classroom. Paper presented at the annual conference of Canadian Association of Language Assessment (CALA), Montreal, Quebec, Canada. Heidt, J., Kartchava, E., & Rodgers, M. (2017, November). Classroom-based online versus offline corrective feedback. Paper presented at the annual TESOL Ontario conference, Toronto, Ontario, Canada. Kartchava, E. (2017, June). The W-Five of oral corrective feedback: Implications for the second language classroom. Paper presented at the symposium organized by CALA (Canadian Association of Language Assessment) on To correct or not to correct? That is NOT the question, convened by Maria-Lourdes Lira-Gonzalez, TESL Canada conference, Niagara Falls, Ontario, Canada. Other presenters: Khaled Barkaoui, Antonella Valeo. Doucette, K. & Kartchava, E. (2017, May). Investigating the role of a language coach in the second language classroom. Paper presented at the annual conference of Canadian Association of Applied Linguistics (CAAL), Ryerson University, Toronto, Ontario, Canada. Kartchava, E. & Nassaji, H. (2017, April). The impact of task on the noticeability of corrective feedback in a three dimensional virtual environment versus a traditional classroom setting: The relationship between task and context. Paper presented at the 7th International Conference on Task-Based Language Teaching, University of Barcelona, Barcelona, Spain. Kartchava, E. & Nassaji, H. (2017, March). Use and noticeability of corrective feedback in three-dimensional world and face-to-face environments. Paper presented at the annual conference of American Association of Applied Linguistics (AAAL), Portland, Oregon, U.S.A.
Kartchava, E. & Nassaji, H. (2016, September). Noticeability of corrective feedback in a three dimensional virtual environment: Does context matter? Paper presented at the Second Language Research Forum (SLRF), Teachers College, Columbia University, New York, NY, U.S.A.
Davidson, A., Hartwick, P., Hugues, B., Kartchava, E., Sabra, S. & Thibodeau, R. (2016, June). ePortfolio rubrics: A multidisciplinary, student-centered, faculty developed, open education resource (whew!) Paper presented at the Society for Teaching and Learning in Higher Education (STLHE) 2016 conference, London, ON, Canada. Severenuk, P. & Kartchava, E. (2016, May). What makes you think that? Examining the role of learning materials and resources on teacher cognition. Paper presented at the annual conference of Canadian Association of Applied Linguistics (CAAL), Calgary, Alberta, Canada. Kartchava, E. (2016, May). Does instructional setting affect the noticeability of corrective feedback? Paper presented at the annual conference of Canadian Association of Applied Linguistics (CAAL), Calgary, Alberta, Canada. Kartchava, E. & Meier, S. (2015, October). Training learners to provide corrective feedback to peers. Paper presented at the TESL Canada Conference, Lake Louise, Alberta, Canada. Kartchava, E., Hartwick, P., Sheyholislami, J., Kozlova, I., Polovina-Vukovic, D., & Davies, K. (2015, June). Designing and teaching our first fully online undergraduate course as a team: Successes and challenges. Paper presented at the Society for Teaching and Learning in Higher Education (STLHE) 2015 conference, Vancouver, BC, Canada. Kartchava, E. (2015, March). Importance and expectation of corrective feedback across learning contexts. of Arizona, Tucson, AZ, U.S.A.
Kartchava, E., Walker, N., & Shantz, M. (2014, August). The impact of in-class training in corrective feedback on L2 learning. Paper presented at 2014 AILA World Congress, Brisbane, Australia. Hugues, B., Cech, M., Davies, K., Dawson, J. W., Kartchava, E., Kazmierski, V., Mugford, R., Polovina-Vukovic, D., Salinas-Pacheco, J., Sabra, S., & Uras, D. (2014, June). ePedagogy and Our Faculty Learning Community: Designing Innovative and Effective Online Modules for University Courses. Paper presented at the Society for Teaching and Learning in Higher Education (STLHE) 2014 conference, Kingston, Ontario, Canada. Kartchava, E. (2014, May). Is expectation of corrective feedback in the language classroom universal? Paper presented at the annual conference of Canadian Association of Applied Linguistics (CAAL), St. Catharines, Ontario, Canada. Chung, S. & Kartchava, E. (2014, May). Pre-service and in-service elementary ESL teachers’ beliefs about the use of digital technology in the L2 classroom. Paper presented at the annual conference of Canadian Association of Applied Linguistics (CAAL), St. Catharines, Ontario, Canada. Kartchava, E. (2014, March). Is training in corrective feedback necessary: Insights from the second language classroom. Paper presented at the annual conference of American Association of Applied Linguistics (AAAL), Portland, Oregon, U.S.A.
Kartchava, E. (2013, November). Learner beliefs about corrective feedback: An international perspective. Paper presented at the annual Société pour la Promotion de l’Enseignement de l’Anglais au Québec (SPEAQ) Convention, Montreal, Québec, Canada. Kartchava, E. & Gatbonton, E. (2013, October). The impact of task on adult ESL learners’ noticing of corrective feedback in a classroom. Paper presented at the Task-Based Language Teaching Research Symposium as part of TESL Ontario annual conference, Toronto, Ontario, Canada. Kartchava, E. & Ammar, A. (2012, July). Noticing in language learning. Paper presented at the 11th International Conference of the Association for Language Awareness (ALA), Montreal, Québec, Canada. Kartchava, E. & Ammar, A. (2012, June). Do beliefs mediate noticing of corrective feedback in an ESL classroom? Paper presented at the Society for Teaching and Learning in Higher Education (STLHE) 2012 conference, Montreal, Québec, Canada. Kartchava, E. & Ammar, A. (2012, March). Relationship patterns of noticing and learning. Paper presented at the annual conference of American Association of Applied Linguistics (AAAL), Boston, Massachusetts, U.S.A.
Kartchava, E. & Ammar, A. (2011, June). Do individual differences mediate adult ESL learners’ ability to notice corrective feedback? Paper presented at the 8th International Symposium on Bilingualism (ISB8), Oslo, Norway. Kartchava, E. & Ammar, A. (2011, June). Noticing of corrective feedback among college ESL learners. Paper presented at the annual Rascals colloquium, Magog, Québec, Canada. Kartchava, E. & Ammar, A. (2011, March). The impact of adult ESL learners’ cognitive differences on their noticing of corrective feedback in a second language classroom. Paper presented at the annual conference of American Association of Applied Linguistics (AAAL), Chicago, Illinois, U.S.A.
Kartchava, E. & Ammar, A. (2010, November). Effects of beliefs on learner noticing of oral corrective feedback. Paper presented at the annual Société pour la promotion de l’enseignement de l’anglais au Québec (SPEAQ) Convention, Québec City, Québec, Canada. Ammar, A., Sato, M., & Kartchava, E. (2010, March). How should noticing be measured? Evidence from classroom research on corrective feedback. Paper presented at the annual conference of American Association of Applied Linguistics, Atlanta, Georgia, U.S.A.
Kartchava, E., Gatbonton, E., Trofimovich, P., & Ammar, A. (2007, March). Novice teachers’ perspective on corrective feedback. Paper presented at the annual Teachers of English to Speakers of Other Languages, Inc. (TESOL) Convention, Seattle, Washington, U.S.A.
Kartchava, E., Trofimovich, P., Gatbonton, E., & Ammar, A. (2005, November). To correct or not to correct? Paper presented at the annual Société pour la promotion de l’enseignement de l’anglais au Québec (SPEAQ) Convention, Montréal, Québec, Canada. Kartchava, E., Gatbonton, E., & Trofimovich, P. (2005, May). Corrective feedback: Novice ESL teachers’ beliefs and practices. Paper presented at the annual conference of the Canadian Association of Applied Linguistics (CAAL), London, Ontario, Canada. Chung, S. & Kartchava, E. (2014, October). How do ESL teachers perceive digital technology? Poster presented at the TESL Ontario annual conference, Toronto, Ontario, Canada. Kartchava, E. (2013, October). Learner beliefs about corrective feedback and learning contexts. Poster presented at the Second Language Research Forum (SLRF), Provo, Utah, U.S.A.
Kartchava, E. & Gatbonton, E. (2005, November). Corrective feedback: Novice ESL teachers’ beliefs and practices. Poster presented at the biennial research fair of the Centre for the Study of Learning and Performance (CSLP), Concordia University, Montréal, Québec, Canada. Kartchava, E. (2018, June). Oral corrective feedback in second/additional language teaching and learning. Workshop delivered to Mexican teachers of English as a Foreign Language, National Autonomous University of Mexico (Gatineau campus), Gatineau, Québec, Canada. Invited by Vanessa Reyes. Event sponsored by UNAM-Canada. Kartchava, E. (2018, March). Noticing corrective feedback in the second language classroom: Evidence and classroom applications. Invited talk delivered for the Canadian Centre for Studies and Research on Bilingualism and Language Planning (CCERBAL), hosted by the Official Languages and Bilingualism Institute (OLBI), University of Ottawa. Invited by Dr. Alysse Weinberg, University of Ottawa, Ottawa, Canada. Kartchava, E. (2017, March). The W-6 of written corrective feedback. Invited talk delivered to the Department of Interdisciplinary Cultural Studies, Graduate School of Arts and Sciences, The University of Tokyo, Tokyo, Japan. Invited by Dr. John O’Dea, Managing Director, ALESS and ALESA Programs, Center for Global Communication Strategies. Event sponsored by the University of Tokyo. Kartchava, E. (2017, March). The W-5 of oral corrective feedback. Invited talk delivered to the Department of Interdisciplinary Cultural Studies, Graduate School of Arts and Sciences, The University of Tokyo, Tokyo, Japan. Invited by Dr. John O’Dea, Managing Director, ALESS and ALESA Programs, Center for Global Communication Strategies. Event sponsored by the University of Tokyo. Gatbonton, E. & Kartchava, E. (2017, March). How to engage learners in sustained genuine communication during one-on-one and small group language tutorials. Invited talk delivered to the Department of Interdisciplinary Cultural Studies, Graduate School of Arts and Sciences, The University of Tokyo, Tokyo, Japan. Invited by Dr. John O’Dea, Managing Director, ALESS and ALESA Programs, Center for Global Communication Strategies. Event sponsored by the University of Tokyo. Kartchava, E. (2017, March). Researching corrective feedback in language learning and teaching. Keynote address delivered at the Annual School of Linguistics and Language Studies Graduate Student Symposium. Theme: “Beyond Boundaries: Navigating Interdisciplinary Perspectives in Applied Linguistics and Discourse Studies (ALDS).” Carleton University, Ottawa, Canada. Kartchava, E. (2017, February). Corrective feedback and SLA. Invited talk delivered to Second/Foreign Language Skills graduate course taught by Dr. Nikolay Slavkov, University of Ottawa, Ottawa, Canada. Kartchava, E. (2016, March). Form-focused instruction and SLA. Invited talk delivered to Second/Foreign Language Skills course taught by Dr. Nikolay Slavkov, University of Ottawa, Ottawa, Canada. Kartchava, E. & Hartwick, P. (2015, July). Oral and written feedback in digital environments. Invited by Vanessa Reyes to deliver a workshop to Mexican English as a Foreign Language teachers, National Autonomous University of Mexico (Gatineau campus), Gatineau, Québec, Canada. Event sponsored by UNAM-Canada. Kartchava, E., Hartwick, P, & Lepine, J. (2015, April). Two sides of the coin: Using ePortfolios to learn and teach languages. Invited talk to the “Teaching and Learning in Community” teaching event organized by Educational Development Centre, Carleton University, Ottawa, Canada. *Two CTESL students co-presented. Kartchava, E. (2015, February). Treatment of error in second language learning. Invited talk to Faculty of Arts and Social Sciences (FASS) as part of the “FASSinating Research/ers” Lecture Series. Invited by Pauline Rankin, Associate Dean – Research and Graduate Affairs, FASS, Carleton University, Ottawa, Canada. Kartchava, E. (2015, February). Corrective feedback in second language classrooms: What every teacher needs to know. Invited by Ibtisaam Abboud (TESL Ottawa PD Chair) to deliver a paper at the TESL Ottawa’s Winter Professional Development Conference. Sponsored by TESL Ottawa, Ottawa, Canada. Kartchava, E. (2014, June). The role of corrective feedback in second/foreign language learning. Invited by Vanessa Reyes to deliver a workshop to Mexican English as a Foreign Language teachers, National Autonomous University of Mexico (Gatineau campus), Gatineau, Québec, Canada. Event sponsored by UNAM-Canada. Kartchava, E. (2014, June). Speaker at expert panel. What should every CEGEP ESL teacher know about corrective feedback? Invited by Nicholas Walker to participate in the expert panel at the annual Rascals colloquium, Montreal, Québec, Canada. Event co-sponsored by Collège Ahuntsic and RASCALS, Montreal, Canada. Kartchava, E. (2014, May). Plenary speaker. Second Language Acquisition and Corrective Feedback. Invited by Ibtisaam Abboud (TESL Ottawa PD Chair) to deliver plenary address at the TESL Ottawa Annual General Meeting. Event sponsored by TESL Ottawa, Ottawa, Canada. Kartchava, E. (2014, February). The power of corrective feedback. Invited by Evan Lavoie to lecture at English Intensive Program Professional Development Day, University of Ottawa, Ottawa, Canada. Event sponsored by Second Language Intensive Programs Official Languages and Bilingualism Institute (OLBI). Kartchava, E. (2013, November). Opening address at the 9th Annual SLaLS Graduate Student Symposium: Language: Connected, Broadening Perspectives, Carleton University, Ottawa, Canada. Kartchava, E. (2012, October). Does noticing of corrective feedback matter: Insights from an ESL classroom. Invited talk at the general meeting of ESL teachers, Collège Ahuntsic, Montréal, Québec, Canada. Kartchava, E. & Ammar, A. (2010, December). L’impact des croyances des étudiants adultes d’anglais langue seconde quant à la rétroaction corrective sur la prise en compte. Invited talk at a training seminar held for the Faculté de l’éducation permanente (Continuing Education Faculty) of Université de Montréal, Montréal, Québec, Canada.